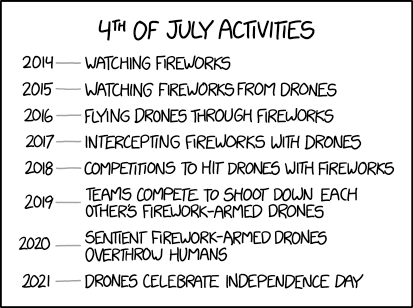 Strangely, they still celebrate by eating hot dogs. Since they don't have mouths, they just kinda toss them in the air and let them fall back down into their propeller blades. It's pretty messy.